One of my favorites, Mark Penxa will be showing some new paintings this September at 1975, a very cool art space in Rochester, NY that’s been hosting a number of sick shows over the past few years. You may recognize Mark’s work from the excellent Jazz 101 and Blues 101 series of graphics he did for Stereo recently. The opening is Saturday September 12, from 7-10 pm. so get there if you can. 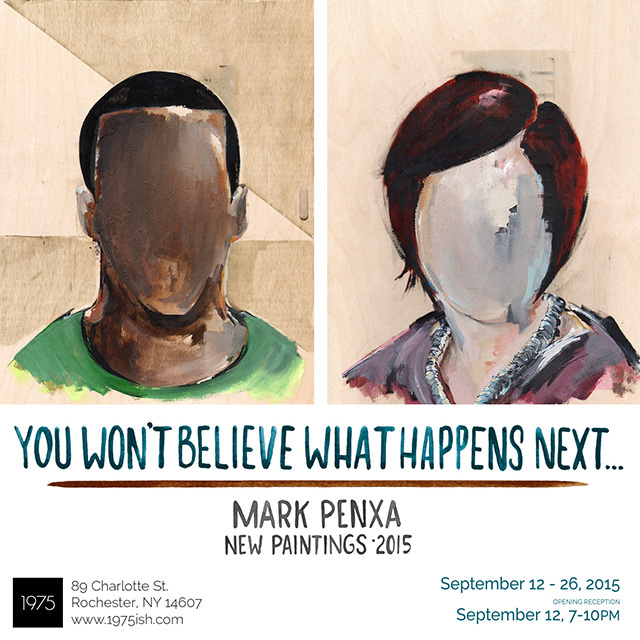 “We are thrilled to welcome back Mark Penxa to 1975 Gallery for a solo exhibition of new works. Mark will be joining us for the opening reception. Taking its name from tempting, vacuous “click bait” headlines; “You Won’t Believe What Happens Next…” exhibits a brand new series of paintings from Detroit-based artist Mark Penxa. 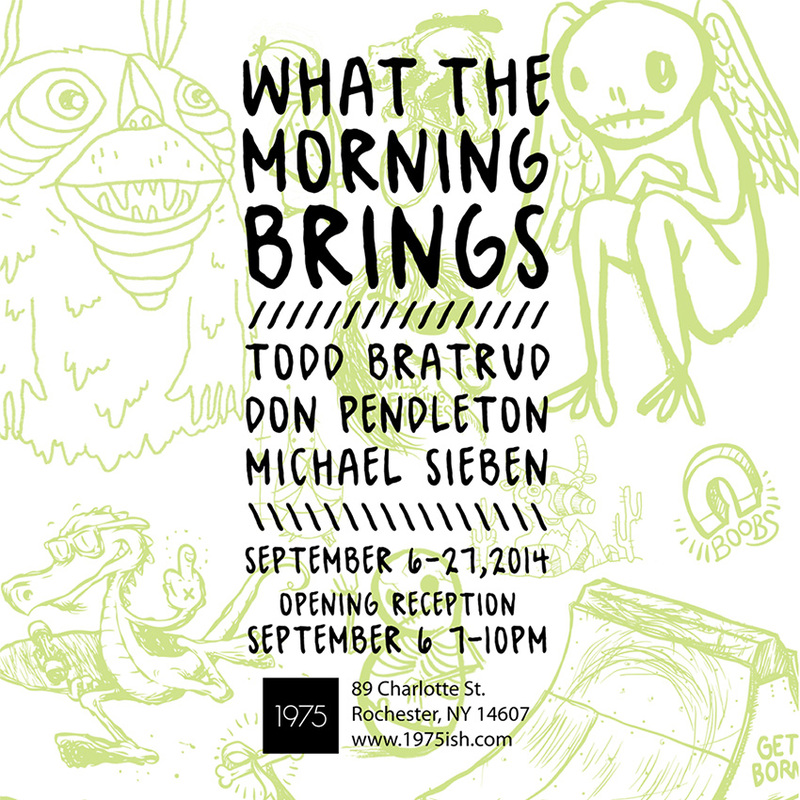 East coast heads – start making tracks toward Rochester, NY where Erich Lehman’s 1975 gallery will be showing new work from three of skateboarding’s finest artists/designers: Don Pendleton, Todd Bratrud and Michael Sieben. Entited “What the Morning Brings‘” the show will run until September 27 with an opening reception on Saturday September 6 from 7-10 pm. (Don Pendleton will be in attendance). A trifecta like this rarely happens this side of the Mississippi so get there any which way you can. 89 Charlotte St, Rochester, NY 14607.